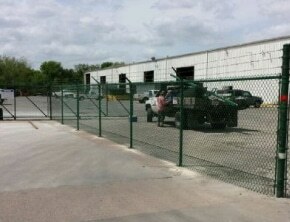 Torres B Fencing & Services is the best Houston Fence Company specializing in both commercial and residential fencing. If you have a gate or fence installation that needs service or are looking to install one on your business or residential property, we have years of experience with a variety of gates and fences configurations. 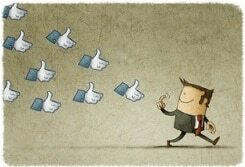 How can a Local Houston Company Help? Get Quality And Professional Fencing Installation By Torres B Fencing & Services Today! We are a family owned and operated fence business serving the Metro Houston, Texas area. Free onsite estimates for expertly installed fencing, driveway entry gates, and automatic remote electric or swing & sliding solar gate openers. 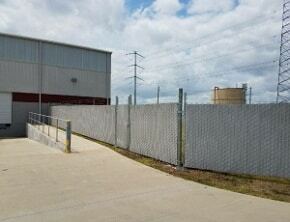 We have the privacy and security fence solution for your commercial and industrial property. Our fence company offers complete electric and automatic security gates that are custom made to your needs. Need a chain link fence installed at your property? Call us at 281-810-6368 to schedule a free estimate. 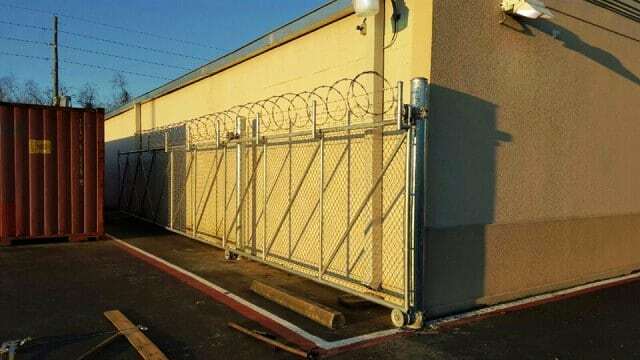 Commercial chain link fence installed with three barbed wire strands on top or razor wire coils above it provides that extra physical security barrier to any business property. Cantilever chain link with a solar sliding gate opener and keypad entry system. What Type Customer Do We Service? We work with individuals, contractors, construction companies, property managers and other customers. 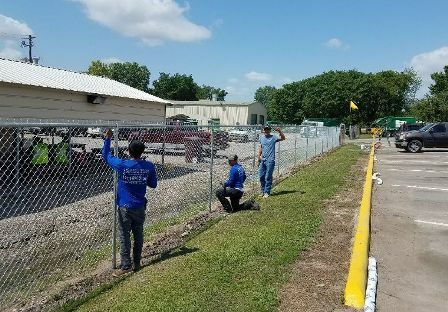 The type businesses we do a lot of installation and repair of perimeter fencing is the following: Manufacturing plants, power and utility plants, major oil companies, commercial office buildings, multi-family apartments, storage facility, chemical plants, retail facilities, shopping centers and more. If you need any type fence, secuirty gate or repairs. Call 281-810-6368 to learn how we can provide you a solution. 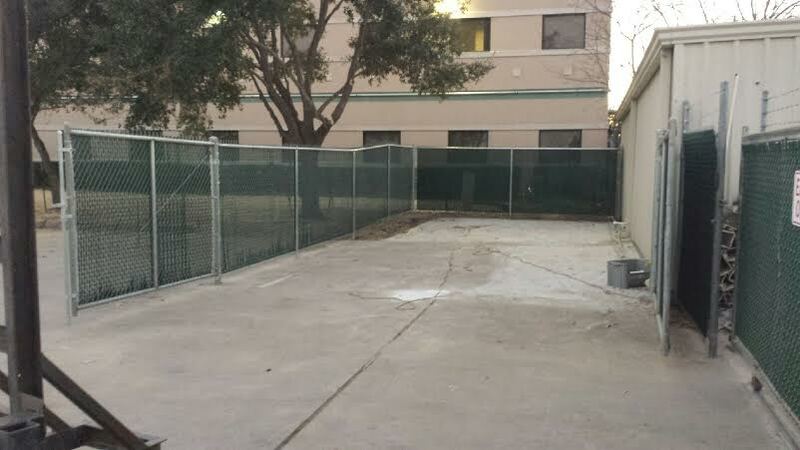 Torres B Fencing & Services is centrally located in Houston in Northeast Square, Houston nearby popular attractions Budweiser Brewery Experience. 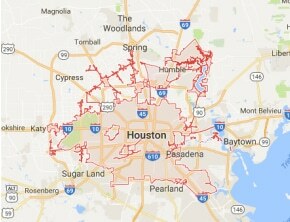 Northeast Houston in Harris County borders nearby Galveston County, allowing Torres B Fencing & Services to offer commercial fencing, and chain link fence installation & repair services throughout the region, including Pasadena TX, Channelview, Galena Park, Deer Park South Houston, La Porte, Baytown, League City, Pearland, Friendswood, Dickinson, Missouri City, Sugar Land, Downtown Houston, Katy, Memorial, Jersey Village, Cypress, Spring, The Woodlands, Kingwood, Montgomery Count, Conroe and all points nearby. Directions from George Bush Intercontinental Airport to Torres B Fencing & Services Houston TX 77015. Get on I-69 from Will Clayton Pkwy and continue to TX-8 Beltway S. Take the exit toward US 90 E/US 90 W/Tidwell Rd from TX-8 Beltway E. Continue on TX-8 Beltway S. Take Uvalde Rd until you reach Natasha Ln 77015. Directions from Pasadena, TX to Torres B Fencing & Services Houston TX 77015. Get on TX-225 W/Hwy 225 W. Continue on TX-225 west Highway 225 W. Take I-610 N and US-90 E to Wallisville Rd in Houston. Take the FM 526 N/Wallisville Rd exit from US-90 E. Follow Wallisville Rd until you reach Natasha Ln 77015.